Citizen: An American Lyric is a collection of prose, poetry and images that provides a provocative analysis of race in America, with a deep commitment to advancing equality. The author, Claudia Rankine, is a poet, essayist, playwright and the editor of several anthologies whose work explores the blending of genres, the subjects of race and the imagination, and the subjective experience of systematic racism and racial aggressions. Her body of work includes five volumes of poetry, two plays and various essays. She is presently the Frederick Iseman Professor of Poetry at Yale University and in 2013 she was elected a Chancellor of the Academy of American Poets. Citizen has received many accolades and honors, including the 2014 Los Angeles Times Book Award, the 2015 National Book Critics Circle Award in Poetry (the first book in the award's history to be nominated in both poetry and criticism), the 2015 Forward Prize for Best Collection, the 2015 Hurston/Wright Legacy Award in Poetry, the 2015 NAACP Image Award in poetry, the 2015 PEN Open Book Award, the 2015 PEN American Center USA Literary Award, the 2015 PEN Oakland-Josephine Miles Literary Award and the 2015 VIDA Literary Award. The book was a finalist for the 2014 National Book Award and the 2016 T.S. Eliot Prize. Citizen also holds the distinction of being the only poetry book to be a New York Times bestseller in the nonfiction category. Author's webpage includes information about her work, links to interviews, links to reviews of Citizen: An American Lyric, and audio readings of her work, including video essays of the Situation readings from Citizen. Created by the American Academy of Poets, Poetry 101: Resources for Beginners examines the differences between reading prose and poetry and how understanding the relationship between attitude and technique is an important aspect of reading poetry. Microaggressions.com is a blog which seeks to provide a visual representation of common, everyday forms of microaggressions. The aim of this project is not about showing how ignorant people can be. Instead, it is about showing how these comments create and enforce uncomfortable, violent and unsafe realities onto peoples everyday lives. Microaggressions can effect people in the workplace, home, at school, while using public transportation, public spaces, etc. They can also have far reaching impacts on an individuals childhood, adolescence, and adulthood. NPR Weekend Edition interview with host Lynn Neary from July 9th, 2016. Written by Chris Boeskool. Originally published on HuffPost March 14th, 2016 (Updated Dec 6th, 2017). KCET.org article written by Lynell George and published September 3rd, 2015. New York Times Magazine article written by Claudia Rankine. Published Aug 25th, 2015. New York Times Magazine article written by Claudia Rankine. Published June 22nd, 2015. Los Angeles Times Book Critic article from Oct 9th, 2014. Written by Derald Wing Sue Ph.D. Posted on Psychology Today Oct 5th, 2010. Discussion questions for Citizen: An American Lyric created by the publisher, Graywolf Press. Discussion questions for Citizen: An American Lyric created by St Cloud State University. Start Searching for Articles, Books DVDs and More! 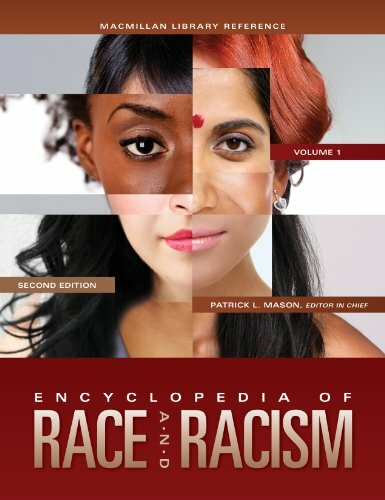 Full-text of hundreds of academic journals in the areas of African American Studies, African Studies, Anthropology, Archaeology, Asian Studies, Classical Studies, Ecology, Economics, Education, Finance, Folklore, Geography, History, History of Science & Technology, Language & Literature, Latin American Studies, Mathematics, Middle East Studies, Philosophy, Political Science, Population Studies, Slavic Studies, Sociology, and Statistics. Full-text access to over 100 scholarly journals in the areas African Studies, American Studies, Anthropology, Art, Asian Studies, Canadian Studies, Caribbean Studies, Classics, Culture and Society, Economics, Education, Film, Theater, and Performing Arts, Folklore, French Studies, Gay and Lesbian Studies, Geography, History, Irish Studies, Judaic Studies, Language, Latin American Studies , Law, Library Science, Literature, Marketing, Mathematics, Medicine and Health, Medieval Studies, Mediterranean Studies, Music, Native American Studies, Pacific Studies, Philosophy, Philosophy and Science, Politics and Policy Studies, Population Studies, Psychology and Psychiatry, Religion, Science, Sexuality, Sociology, and Women's Studies. In this book, the author focuses on how and why we come to see race in very particular ways. What does it mean to see someone as a color? As racially mixed or ethnically ambiguous? What history makes such things possible? Drawing creatively from advertisements, YouTube videos, and everything in between, he redirects our understanding of racial sight away from the dominant categories of color, away from brown and yellow and black and white, and instead insists that we confront the visual practices that make those same categories seem so irrefutably important. Through personal essays, criticism, interviews, testimonials, poetry, and visual art, the collection explores, as coeditor Cherríe Moraga writes, "the complex confluence of identities--race, class, gender, and sexuality--systemic to women of color oppression and liberation." National Book Award-winner Jesmyn Ward takes James Baldwin's 1963 examination of race in America, The Fire Next Time, as a jumping off point for this groundbreaking collection of essays and poems about race from the most important voices of her generation and our time.